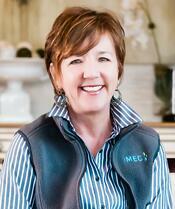 Lisa is a certified leadership development expert with 30 years of experience in the industry. At IMEC, she assists organizations across Illinois with developing effective leadership training to ensure they have a pipeline of quality leaders to maintain competitiveness. Since joining IMEC, my work with Progressive Recovery, Inc. located has been very rewarding. This organization was one of the first clients I met with and our relationship continues to this day. We've provided solutions that have impacted nearly every facet of their business. In the past year alone, they've added 50+ new employees and are continuing to grow. To date, my most challenging project has been with an automotive glass manufacturer in Illinois. I am currently working routinely to identify ways to keep their management team engaged with the process so that our work provides sustainable benefits. It is about Leadership! Strong leaders make all the difference. NEW INDUSTRY TREND YOU’RE INTERESTED IN PURSUING THAT DRIVES GROWTH THROUGH ENTERPRISE EXCELLENCE? "The Employee Experience,” a relatively new trend in Human Resources that points to all aspects of the performance management cycle and creates vibrant, engaged company cultures. Workforce challenges - How do we continue to motivate disengaged employees? How can we keep good employees and help them become even better performers? How can we give employees a sense of pride and ownership in what they do? I am old school. I like books, journal articles and networking with my peers. Learn more about Lisa and how she can help you create your competitive future here.